If you use an RSS reader, and like reading comics, then this is the site for you! A very wide selection of popular comic feeds to choose from that can be plugged into any RSS Reader where you can get your daily dose of humor and perspectives on life. Amazon’s Prime Video app is coming to Google’s Chromecast and Android TV, while Google’s YouTube app will return to Amazon Fire TV products. Gmail users, the NEW “schedule” email option is now rolling out. Go into your Gmail, click on compose, enter a recipient’s email address and if you go to the bottom left corner where it displays the send button (see below) you will see a small down arrow. Click on the down arrow and then click on “Schedule Send”. From that point forward it is self-explanatory. You can then select a date and time that you wish for the email to be sent. I am thinking of scheduling and sending an email for far out in the future, beyond my demise, to let everyone know, I am spiritually still with them and that there is Gmail in Heaven. Google announced today on the YouTube blog that anyone with a Google Home or Google Assistant-powered speaker can now listen to ad-free music from YouTube Music. To my reader’s at “What’s On My PC”… If you use Facebook, take a moment to read this. I have seen some of my Facebook friends being hooked into this. It is a “scam”. PLEASE, take my advice “Believe Nothing and Verify Everything”; especially, on social media. Scammers are pushing multiple fake Facebook profiles of Ellen DeGeneres, popular US TV show host and producer, with the goal of tricking people into jumping through a few money-making hoops. This isn’t a sophisticated scam. It isn’t hacking the Gibson. It won’t be the focus of a cutting edge infosec talk. However, it’s certainly doing some damage—up to a point. This scam is a victim of its own ambition. Some users are reporting freezes upon login, while others claim lengthy times to boot to desktop. It sounds as if either the same issue is causing both, or that some individuals may be rebooting before the desktop has loaded, thinking the machine is permanently frozen. The issues seem linked to the use of antivirus products from specific manufacturers, including Avast, AVG, and Sophos, with Sophos coming in for particular problems. Super Cruise works a lot like Autopilot, with sensors and cameras and GPS guiding the car, but only on certain highways across the U.S. and Canada, where the computer knows the route. Unlike with Autopilot, drivers don’t have to keep their hands on the wheel. A small camera trained on the driver detects when drivers need to snap to attention —and then notifies and alerts drivers to get back into driving mode. Until then, you are literally just sitting behind the wheel, watching the road go by. Amazon, sources have told Billboard, is in talks to launch an ad-supported music streaming service that could be announced as soon as this week. The company already has a popular channel through which to market the service for free — its line of Echo speakers — and the intent here seems to be to go head-to-head against Spotify. To my reader’s at “What’s On My PC”, this update is a major update and will come to you, as suggested and recommended. You can update now but beware of the risks involved. Editing Microsoft Office files in Google Docs is a pain. You can view them there, but you’ve previously had to convert them to Google’s format before you could edit, comment, and collaborate inside Docs. That’s about to change: Google just announced that it’s adding native support for Microsoft’s Word, Excel, and PowerPoint formats — like .docx, .xls, and .ppt — which will let you do real-time collaboration in Google Docs, Sheets, and Slides. Been seeing this on numerous sites where you can now safely yank out that USB drive (so long as the drive is not being written to) on Windows 10. Most people do not know (prior to now) that you should use the “safely remove hardware” option when yanking out that USB drive so as not to risk data loss and corruption of the drive. Heck, I’ve been yanking those drives out for years and don’t remember any issues. Just have to make sure the drive is not being written to. Even though technically they’re both owned by Google, there’s still a lot of differences between Google Maps and Waze. But one of the most requested features from users of the former is to adapt the incident reporting feature of the latter. Late that year they eventually did that but was limited to only two things: crash incident reports and speed trap reports. Now they’re adding another important thing that users can report: traffic slowdown. It is now rolling out only to selected countries so don’t be surprised if it’s not in your Maps yet. Video doorbells are supposed to keep your house safe. But what happens if someone swipes the whole device, camera and all? There has been an uptick in instances of video doorbells being stolen right from people’s houses. Microsoft last week said the next Windows 10 feature upgrade will be available for all users to download and install sometime in late May – the third straight postponement for Windows 10. The decision illustrates the strain under which Microsoft’s Windows-as-a-service model has been operating of late. What had been billed as a metronomic every-six-months release schedule for the feature-and-functionality upgrades has faltered, burdened by months-long delays. Wow… How Gmail (and Us) have evolved. I worked in IT at a time when the internet was ramping up and online services were in their infancy. My very first email account was a Hotmail account, that I still have to this day, and AOL was a favorite of many people. What was your first email account? With its launch on April 1, 2004, many people thought Gmail was an elaborate April Fool’s prank. It was anything but that, and the past 15 years have proven how serious Google is about email. The weekend is the best for relaxing activities, including binge-watching some Amazon Prime flicks. We’ve rounded up the best movies, TV shows, and documentaries that you can stream on Amazon Prime from April 5 to April 12. Vampire villains, haunted homes, and mind-bending technology will keep you chilling on the couch from Friday to Sunday. When this kicks in (most likely in May), Windows 10 user’s at home will be able to manage when updates are installed. Windows updates, especially major version updates, have a bad rep of causing potential problems to end-users (until the bugs are worked out). I know as a former IT Manager, I would cringe when updates were released and would wait to unleash them (then pray). Beginning with Windows 10 version 1903—the feature update for which Microsoft is now calling the May 2019 Update—the software giant will actually allow its customers to decide when updates are installed. Maybe you’re sick of paying for streaming services you don’t actually use as much as you thought you would. Maybe you’ve just gone through all the movies you want to see on Netflix. Maybe you’re looking for something a little weirder or less mainstream than what you’ll find on traditional streaming services. Whatever the reason, there may come a time when you’re looking for something to watch that won’t dent your wallet. There are tons of sites and services out there, but some are less legal or trustworthy than you may feel comfortable using. Just to make you aware at home, Microsoft will soon be rolling out a Windows 10 features update, this month (April 2019). From my experience, these updates often take a while to roll out and when it does hit your computer at home, be patient and let the computer perform the update (which can/could take a while). The best way to protect yourself online and at home from fraud and scams is through knowledge. Posted below are links to the latest “Fraud, Scams and Alerts” at the Federal Communications Commission. Take a moment to read down this list; even if you do not open any of the links. Being knowledgeable is the best protection that you will ever have when it comes to the evil intent of others. I am hoping this feature hits our Gmail Accounts that we privately use at home. The feature will allow you to compose an email and schedule it to send later. We understand that work can often carry over to non-business hours, but it’s important to be considerate of everyone’s downtime. We want to make it easier to respect everyone’s digital well-being, so we’re adding a new feature to Gmail that allows you to choose when an email should be sent. Just write your email as you normally would, then schedule it to arrive in your recipient’s inbox at a later date and time. There are various ways to back up your data. You can back up your data to an external device (see examples HERE) or you can back up your data to a cloud-based backup service, or back up your data to both an external device and a cloud backup service. You might even make more than one backup to external storage devices and keep the two copies in different places (providing protection and access to your data even if one of the backup devices is destroyed or inaccessible. Preserving your valuable documents and images for future access and use requires planning, as well as the use of automatic backup services. The Windows 10 v1903 update will be rolling out soon (April 2019). Instead of using the word “update”, I like to use the word “upgrade” due that this is more than the typical Windows 10 “update”. So; you folks there at home, be ready for some change coming your way. Typically, at home, sit back and wait for the update to come to you (via the Windows updates). If you can’t wait to get the update, follow the instructions HERE to get the update by using the Windows 10 Update Assistant. I highly recommend that you wait in case there are some bugs that Microsoft may need to work out. Light Theme for those who dont like too much black. Even with free cloud-based options like Google Docs, if you want a full-featured office suite, there’s still nothing better than Microsoft Office 365. And today Amazon will give you free money to try it out for a year (CLICK HERE). If you buy a one-year subscription to Microsoft Office 365 Home for $100 today, Amazon will throw in a free $50 gift card, bringing the true cost for the bundle to just $50. Just to let folks know, the browser that ships with Windows 10 is called Microsoft Edge. The developer and underlying code of the Microsoft Edge browser is a Microsoft engineered product. It appears, in the near future, we are going to see a change in the Microsoft Edge browser in appearance and in the underlying code (the foundation) that makes the browser work. The appearance and underlying code are going to be based on Chromium, which is a (see Wikipedia) Google open-source web browser project. It is a fully functional browser on its own and supplies the vast majority of code for the Google Chrome browser. With the end of Windows 7 approaching, what can users do? They can keep using the operating system but it will become a dicey proposition – unless they start paying for support. “Windows 7 will continue to run but Microsoft won’t issue any more free updates for it, including security patches,” Converge360’s Mackie said. That could make Windows 7 PCs extremely vulnerable. “Once flaws in Windows 7 are publicly known, they are frequently used for attacks. After the January 2020 date, though, Microsoft likely won’t fix these vulnerabilities for most users,” he added. O’Rourke, like other teens of the time, did find ways to avoid paying for dial-up phone service time to connect to bulletin board systems (BBSs) of the day with his family’s Apple IIe computer and 300 baud modem, which he often used to search of pirated games. He eventually launched his own bulletin board system (BBS) called TacoLand, which Reuters’ Joseph Menn reports was largely about punk music. “This was the counterculture: Maximum Rock & Roll [magazine], buying records by catalog you couldn’t find at record stores,” O’Rourke told Menn. Microsoft has developed and started testing Windows Defender Application Guard extensions for both Chrome and Firefox to better protect enterprise PCs. The feature, which used to be an Edge exclusive, keeps PCs safe by opening web pages not included in administrators’ trusted sites in a virtual container. That way, it can prevent attackers from gaining entry into the company’s system if the website turns out to be malicious. DuckDuckGo is a private search engine that focuses on not collecting your personal information. Google included private search engine DuckDuckGo in its updated lists of default search engines for Chrome 73, which the search giant released Tuesday. TechCrunch reported the news earlier. Windows 7 support ends about nine months from now, on January 14, 2020—and if you’re a Windows 7 user, you’ll see more than this story reminding you of that date. In fact, according to Microsoft, you could see several pop-up reminders warning you to upgrade to Windows 10 before the year is out. Looks like Microsoft is doing a rebuild of their Microsoft Edge Browser using Chromium as it guts..
Microsoft announced during early December that they will be giving up on the current code base of their Microsoft Edge browser switching to Google’s open-source Chromium and that the nametag will remain unchanged even though the app will be a whole different beast inside and outside. 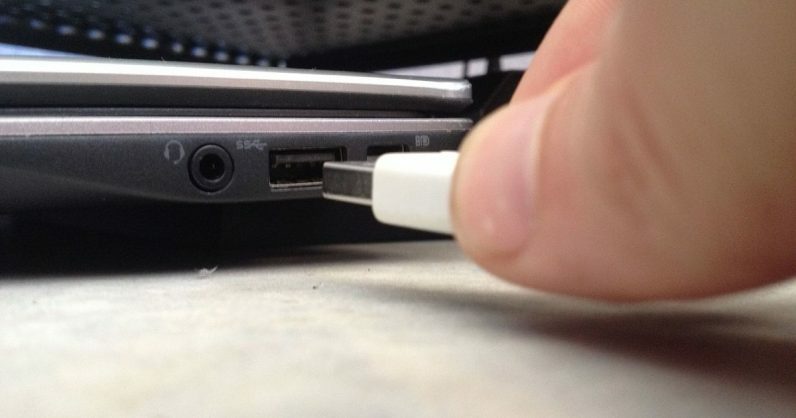 Something to look forward to: It was only last week when the USB Implementers Forum (USB-IF) revealed details of the new USB 3.2 format and name changes for USB 3.0/3.1. Now, the organization has announced USB 4, which increases the maximum 20Gbps offered by USB 3.2 to 40Gbps. Google has come up with a compromise to make its “OK Google” feature more secure. Rather than allow users to unlock their Android devices completely (a security risk), the Voice Match command will soon limit “OK Google” to open the Assistant interface on the lock screen. There, interactions will be limited to “personal results,” things like Google Calendar, email, reminders and shopping lists. Pandora and YouTube Music have been added as alarm options to the Google Clock app, Android’s default alarm clock. The functionality was added with version 6.1 of the app, and announced by the Twitter accounts of both streaming services. Thinking of buying a new Chromebook but not sure which one to choose? If you are considering purchasing a Chromebook and want to learn more, take a look at this recent article about “Chromebook Specs & Performance Comparison Chart (2019)” that provides a specs comparison table and buying guide to quickly see the differences between each model, and find the best Chromebook for your needs. Is Windows Defender sufficient protection for my computer? I had this very question in mind as I was setting up a new computer, “Is Windows Defender sufficient protection for my computer?”. In the past, Microsoft’s antivirus (Window’s Defender) was low on the totem pole; however, I am now finding it may be a good choice (see source link below). I will probably layer my protection with Malwarebytes, but right now I am going to give Windows Defender a shot since it is already baked into Windows 10. Microsoft has invested a great deal of time and effort in improving Defender in recent years, though, and it’s clearly paying off, with Defender climbing the test rankings and now outperforming some big security names. Gmail on mobile is coming your way with a new look and material design where you can quickly view attachments (like photos) without having to actually open the email. You will also find it easier to switch between more than one Gmail account. Just like on the web, if an email looks suspicious, you will receive the red alert. If you want to continue receiving Windows updates, then the next Windows 7 and Windows Server 2008 update is critical as it adds support for SHA-2 encryption. Without it, future updates can’t be downloaded. Google is adding more options to the right-click context menu in Gmail. If you are a Google Chrome browser user you may be interested in knowing that Google just published some themes created by the Google Chrome Team. Themes are a great way to customize your browser to make things more interesting (and attractive). Will the 5G networks change things as we know it? On 5G networks, our phones and networks will be more than 100-times faster than they are today. But it’s not just about speed. We’ll be able to aggregate, analyze and share data at lightning-fast speeds, giving us amazing new opportunities for improving our systems and streamlining our services. Transportation, labor, commerce, entertainment, medicine — no industry will remain untouched. It continues to be a growing scam: People pretend to be from the Social Security Administration (SSA) and try to get your Social Security number or your money. I encourage you to play the sound bite above to hear what this scam may sound like. On top of it all, the caller ID often shows the real SSA phone number (1-800-772-1213) when these scammers call – but they’re faking that number. It’s not the real SSA calling. If you get calls like this, where threats and fear are in the mix, hang up. Best action to take when it comes to phone scams is simply do not answer the phone. If important enough the caller will leave a message; and even then, if after you review a message and you have doubt or suspicion, consult with someone about it. This is so bad that if you call the SSA to report the matter they have a pre-recorded message and warning and letting you know about these calls. If you get one of these calls, tell the FTC at ftc.gov/complaint. It is important to know when major updates are going to transpire. As a former IT Manager, Windows Updates would make me cringe; knowing that a well-intended update could have negative consequences. Now that I don’t have that worry, on a grand scale, I still pay attention to the update schedule, even with my PC’s at home. Windows 10 updates are always free. You’ll be able to download the April 2019 via Windows Update at no charge once Microsoft determines it is compatible with your computer. Roll-outs of major Windows 10 updates are gradual to ensure the best quality experience, so you might not see it on your PC right away.